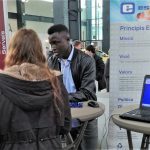 Throughout the first half of 2016, Estamp has once again been participating in the briefings, offered from Terrassa town hall, Cecot, The Chamber of Commerce of Terrassa and Salesians Terrassa, on the different training paths that can be chosen at the end of compulsory secondary education. The aim of the orientation to the employment world conference is to give information and guidance on the different training and educational paths, to publicize the flexibility of the education system provided to redirect careers and motivate young people to continue in the education system. It is important to Estamp, to collaborate with these entities to assist in the training of our future professionals. 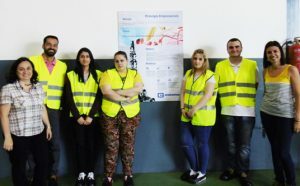 Specifically, Estamp has conducted talks at the Technical and Professional Conference in Terrassa Salesians with Mechanics and Electricity students; At the Orientation Training Day cycles were organized by the Service of Education and Vocational Training Council of Terrassa; and finally with the Youth Guarantee Program from the Chamber of Commerce of Terrassa.